CEIA is a manufacturing company specialized in the design, engineering and production of Metal Detectors and Quality Control equipment. 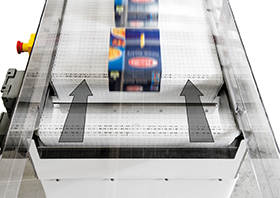 CEIA THS 21 Conveyor Inspection Systems satisfy the most stringent requirements for functionality, compact construction, accuracy and reliability of response against accidental metal contamination in food products. The line of CEIA Quality Control equipment includes the Conveyor Inspection Systems, featuring state-of-the-art performance and full compliance with industrial sector regulations. CEIA THS 21 Metal Detectors Series has been designed to manage all the functions required by the transport systems. 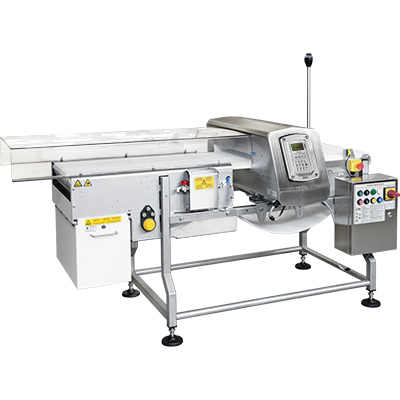 CEIA, leading manufacturer of industrial metal detectors, offers a complete range of solutions for inspecting food products, both loose and packaged. The line of Quality Control Detectors includes the Conveyor Inspection Systems, featuring state-of-the-art performance and full compliance with industrial sector regulations. THS 21 Conveyor Inspection Systems offer total integration between CEIA’s high-performance THS 21 Metal Detector and a hygienic structure in AISI 316L stainless steel, equipped with digital control of the speed and of the stages of ejection of non-conforming products. CEIA’s THS 21 are available in a wide range of sizes covering the different application requirements. The supporting structure, the Metal Detector and the belt control box are in stainless steel. The inspection system is certified fully compatible with food product handling (FDA compliant) requirements, as is the protective cover of the ejection area and the container for rejected products. Belt stop, pneumatic pusher ejection, air jet ejection, deviator arm, belt reversing (only on THS/FBB), belt retraction (THS/MBR). Other modes available upon request. An internal self-diagnosis system continuously monitors Metal Detector functional efficiency. In the event of a fault, a message is shown on the control display and all alarm indicators are activated together with corresponding relays.